This week I am returning to Pallant House Gallery, Chichester, to once again see the outstanding ‘Stanley Spencer: Heaven in a Hell of War’ exhibition, which is now in its final two weeks. The paintings from Sandham Memorial Chapel at Burghclere have been loaned by the National Trust while restoration work to the fabric of the chapel has been undertaken. They will soon be returning to their permanent home. Other rarely seen works by Spencer also form part of this show. 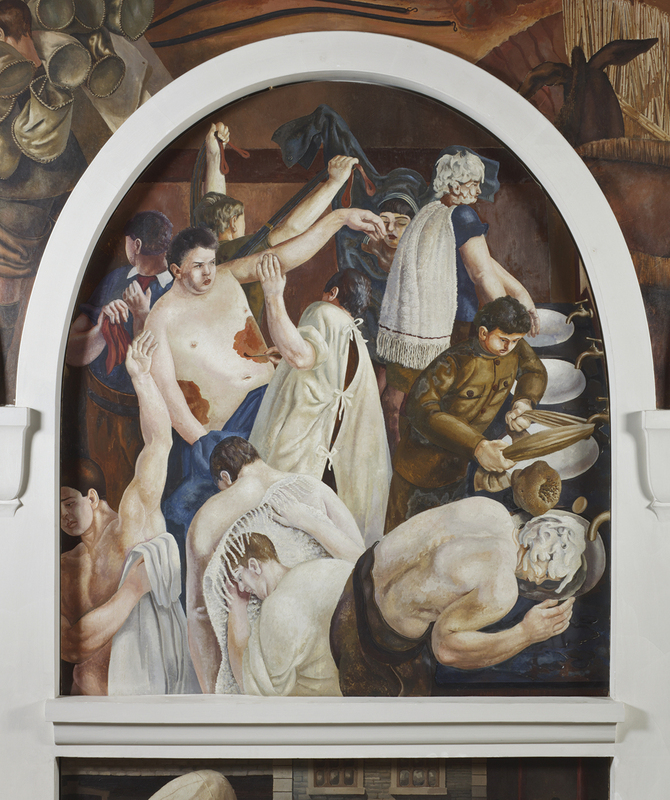 Stanley Spencer too was inspired by the work of the 14th century Quattrocento artist Giotto Di Bondone and it is no accident that the scheme of Sandham Memorial Chapel was based upon Giotto’s Arena Chapel in Padua. In viewing Spencer’s art, the qualities of the aesthetic and the religious are often held in tension. This shared heritage inspires a vital, living experience. Painted from memory between the wars, they are considered by many to be his finest work. The paintings provide a particular and strong articulation of hope, forgiveness and resurrection and are alive with Christian allegory. Take, for example, ‘Ablutions’, which shows the wounded being tended, cleaned and dressed. It is reminiscent of Christ’s washing of the disciples’ feet at the Last Supper. These images leave us in no doubt as to the uniqueness and quality of Spencer’s gifted artistic voice. In 1912 Clive Bell selected Stanley Spencer’s ‘John Donne Arriving in Heaven’ for the second Post-Impressionist exhibition at the Grafton Galleries in London. Other exhibitors included Matisse and Picasso. Clive Bell frequently visited Burghclere to see Spencer at work. Lively intellectual debates defined life at Charleston House; perhaps Clive Bell’s thinking and his visits to Burghclere brought influence to his wife, Vanessa Bell, and Duncan Grant’s wall paintings at St Michael and All Angels, Berwick, Sussex. 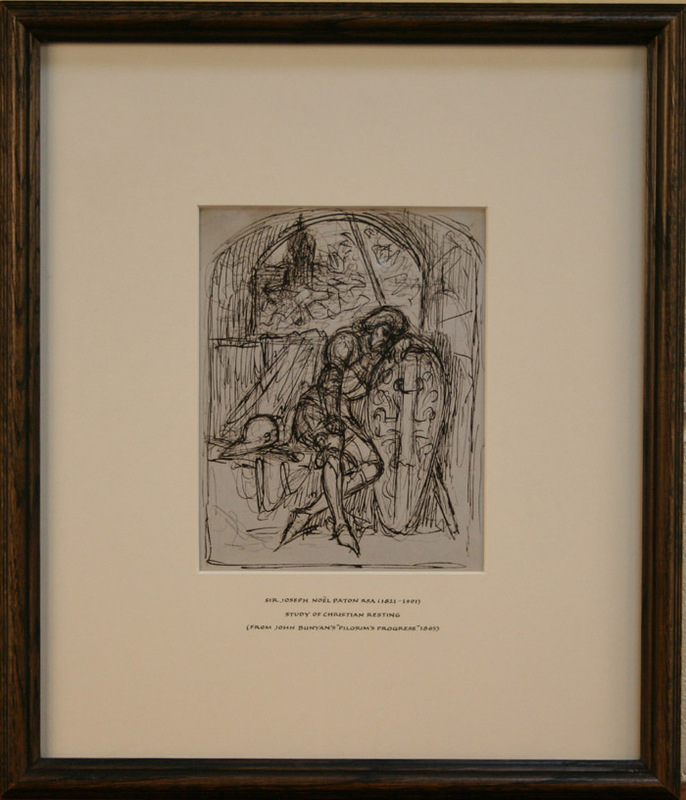 Before I leave the gallery, there is just time to see another exhibition, ‘Artists’ Studies: From Pencil to Paint’, and I find myself captivated by Walter Sickert’s ‘Jack Ashore’. This remarkable oil on canvas displays the artist’s particular gift for composition and tone and the later pencil sketch of the same title is revealing of Sickert’s working method. Painted in 1912-13, it reminds me of the important place Sussex occupies in Modern British Art history. Between 16th December 1913 and 14th January 1914, the Brighton Art Gallery became London-by-the-Sea. 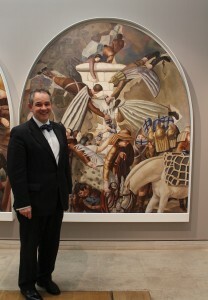 The Camden School, under the presidency of Spencer Frederick Gore, was invited to select the work for the exhibition. It was a group of artists always given to division and it operated both as the London Group and the Fitzroy Street Group. 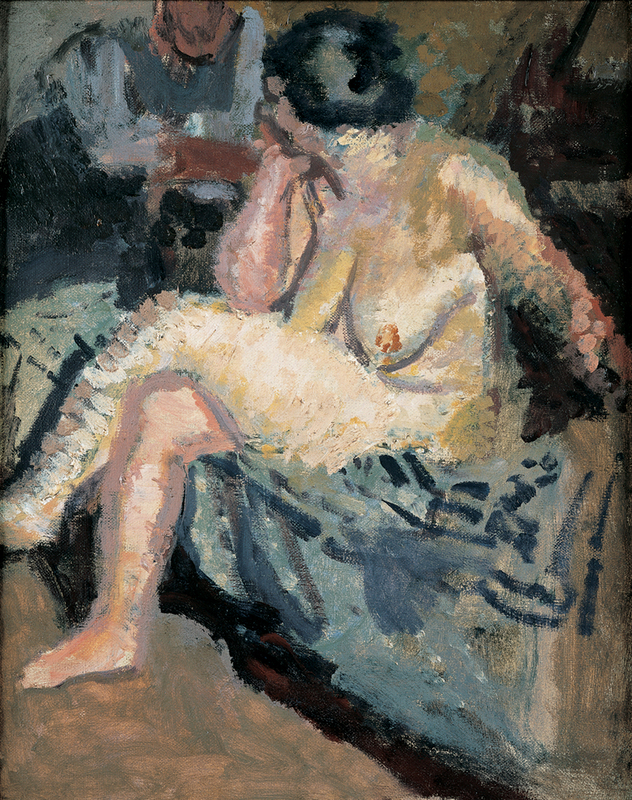 Walter Sickert had acknowledged that scope for ‘the free expression of newer artistic thought’ was needed. The exhibition was titled ‘English Post-Impressionists, Cubists and Others’. The first two rooms contained work by those in the more traditional camp of Gore, Gilman and Pissarro. Wyndham Lewis wrote the introduction for the third ‘Cubist Room’ room. Always influenced by Picasso, Lewis embraced Futurism and Cubism. 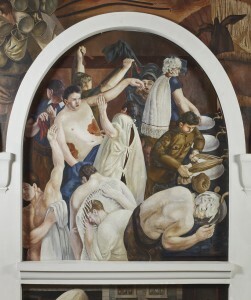 ‘Stanley Spencer: Heaven in a Hell of War’ has been one of the artistic highlights of the year. I am delighted that Toovey’s headline sponsorship of this exhibition, together with support from the Linbury Trust, has made it possible for such an important show to come to Sussex. The paintings have gifted the galleries at Pallant House with a quality of the sacred. Whether you are visiting for the first time or revisiting, this intimate exhibition really has a power to move as we share Spencer’s memories and his pictures allow us to inhabit this very personal story. The exhibition runs until 15th June 2014. For more information go to www.pallant.org.uk. By Revd. Rupert Toovey. Originally published on 28th May 2014 in the West Sussex Gazette. 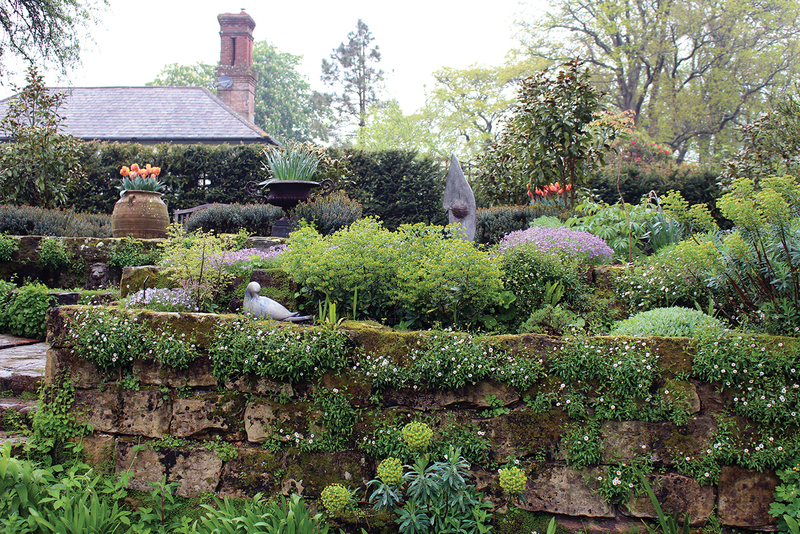 The gardens at Borde Hill reflect the passions of Colonel Stephenson R. Clarke who set about creating them having purchased the house and land in 1893. Between 1893 and 1937 he sponsored many of the Great Plant Collectors’ expeditions. They returned with rare specimens brought back from their travels in the Himalayas, China, Burma, Tasmania and the Andes. Many of these plant species are still at the heart of the collection which make up the seventeen acres of formal gardens we enjoy today. 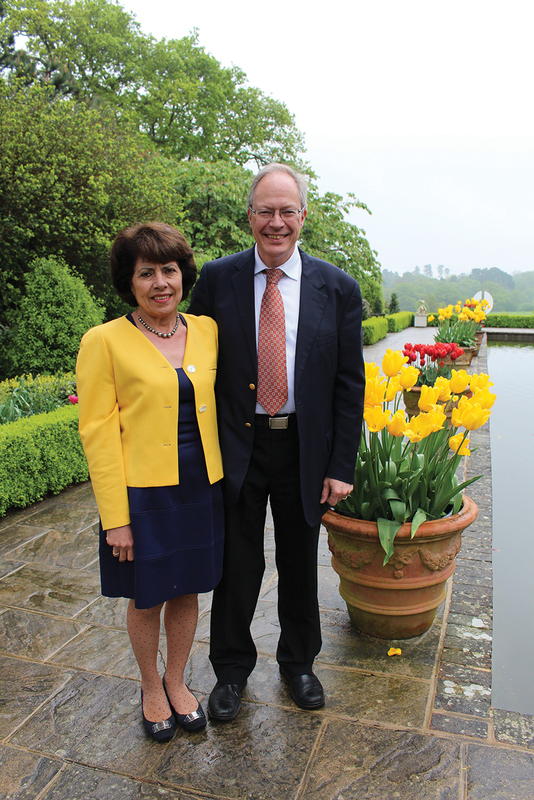 The custodianship of this remarkable house and garden is now in the hands of Colonel Stephenson R. Clarke’s great grandson Andrewjohn and his wife Eleni. 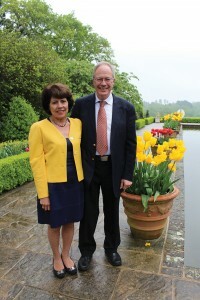 Like their forebears they are passionate about Borde Hill and its gardens. Eleni, a geologist and trained horticulturalist, admits that it is the gardens which inspire her. She explains “Over recent years we have embarked on a program of intensive new planting regenerating existing beds with perennials, grasses and lots of new trees.” She and her team of dedicated gardeners have worked hard to add even more colour and interest to both the gardens and parklands throughout the season. Eleni enthuses “Colour, texture, smell and light are so important. The gardens must be alive to delight the senses of the visitor.” As you walk around the garden your senses are arrested and delighted. The gardens were first opened to the public by Andrewjohn’s father, Sir Ralph Clarke, in 1965, a tradition which he is proud to continue. This botanically important Grade II* listed Sussex garden is made up of a series of ‘rooms’ and vistas which still speak loudly of the Victorian plant collector. Each enthrals the visitor in turn. 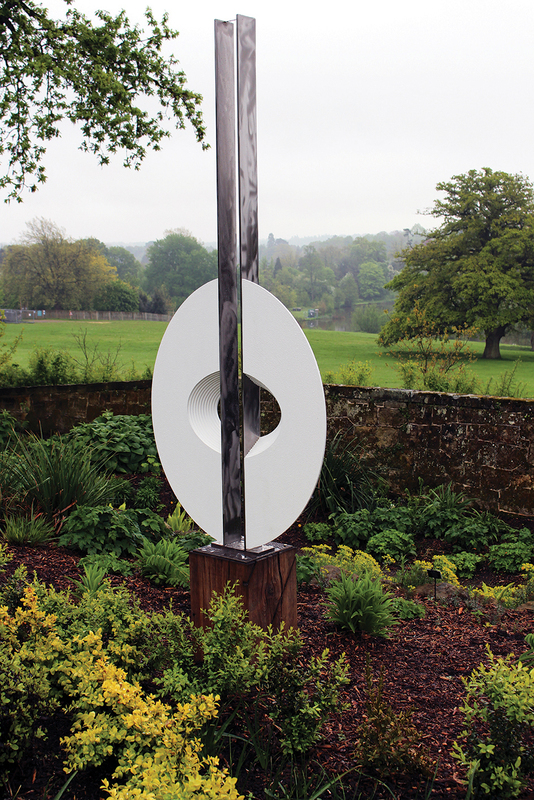 The gardens are complemented by forty exciting sculptures from fourteen artists represented in the 2014 Contemporary Sculpture Exhibition. The work is for sale. Amongst my favourites is the abstract sculpture shown here. Titled ‘Henosis’, it is the work of Thomas Joynes. In classical Greek the word for oneness and unity is henosis. In Platonism the goal of henosis is union with what is fundamental in reality. The artist’s attention to materials, texture, light and form frame the Italian garden and its vista beautifully. The influence of organic, natural forms is apparent in Joynes’ work and is particularly appropriate in this context, uniting us with this garden and parkland landscape. Andrewjohn and Eleni Stephenson Clarke are clearly united to the procession of their family’s ambitions, life and history in this place. Their day often starts at six or seven in the morning as there are always things to do. But when you are on the right path in life there can be an ease to hard work. Eleni concludes “We are very aware of the wonderful heritage of this living collection’s past and our responsibility to replace or propagate the rare.” Andrewjohn and Eleni’s stewardship is deserving of our thanks. Their passion and dedication are keeping this remarkable collection alive in every sense as a rich botanical resource for us all. This Bank Holiday weekend treat yourself to a visit to the remarkable Borde Hill Garden, Borde Hill Lane, Haywards Heath, West Sussex, RH16 1XP. You will take home wonderful memories and who knows maybe even a sculpture! For more information on opening times and forthcoming events go to www.bordehill.co.uk. By Revd. Rupert Toovey. Originally published on 21st May 2014 in the West Sussex Gazette. Last week I once again found myself in Oxford on a grey and blustery morning. Over recent years I have organised an annual conference for professionals from the art and antiques industry. Education has always seemed to me to be the most effective way to raise standards in any field and Oxford has provided the perfect platform. 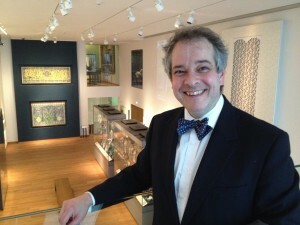 The 2013 Oxford Art & Antiques Continuing Professional Development Conference saw the launch of new valuation standards, contracts and valuation templates. I wrote them with assistance from Paul Britton in response to the Royal Institution of Chartered Surveyors (RICS) Red Book and Valuer Registration Scheme. The RICS Red Book defines methods of valuation for things as diverse as a building or a Ming vase. The documents we prepared are designed to frame a process which will help to ensure best practice in the working method of UK Chartered Surveyors, Valuers and Auctioneers working in the specialist field of art and antiques. I am delighted that these templates have been broadly adopted by the profession. However framing and promoting best practice in working method is only part of the mixture of skills for the art professional. Each conference also seeks to explore different specialist fields of objects. In 2013 Dr Jon Whiteley, the then Senior Assistant Keeper of the Ashmolean Museum’s Western Art department, delivered an outstanding lecture. He argued that at the beginning of the 19th Century there was a shift of interest from the Old Masters towards a new interest in the work of contemporary artists. In Germany, France and England, the idea of supporting living artists translated into the belief that art itself should be of its own time and should eschew the conventions and handed down ideas then prevalent in the art schools. The belief that art should be if its own time turned into a conviction that it should also represent its own time. Art, like the novel, became a medium for bringing light to bear upon contemporary issues. And yet, nothing comes from nothing. Throughout Europe, the artists who promoted modernity mostly did so by turning back to the art of the past in order to find a model for representing their own times. It was only in the later nineteenth-century that the idea took hold that modern art should be fundamentally different from the art of the past and this led to a kind of modernism that had little in common with modernism in its origin. The talk included artists and schools like Ingres, Courbet, Manet and the Pre-Raphaelites. His views are extremely topical as reassessment of representational art especially from the 18th and 19th centuries is overdue. 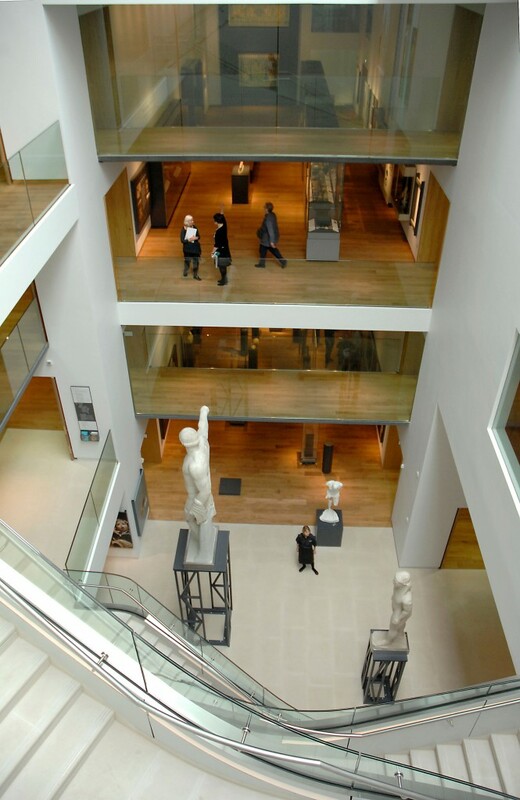 The 2014 Oxford Art & Antiques Continuing Professional Development Conference will be based at the Ashmolean Museum, Oxford and is being supported by the professional bodies, SOFAA and NAVA. Lectures will include how to managing projects by the Revd. Canon Ian Gibson, Worcester Porcelain and the Henry Rissik Marshall Collection by leading the authority on Worcester Dinah Reynolds, and East meets West by Dr Clare Pollard, the Head of the Ashmolean Museum’s Japanese Department. Other sessions will include behind the scenes tours of the Ashmolean’s collections and a visit to William Morris’ Kelmscott Manor. To find out more about Rupert’s work in professional development go to www.oxfordconferences.org. By Revd. Rupert Toovey. Originally published on 14th May 2014 in the West Sussex Gazette. Lots 1549 to 1597 in our forthcoming auction of British & Continental Ceramics & Glass are from the personal collection of the internationally acclaimed, Sussex-based ceramic artist, painter, printmaker and educator Eric James Mellon, who died on 14th January this year. Eric was born in Watford, Hertfordshire, in 1925. At the age of 13 he won a place at Watford Technical and Art Institute, where he studied until 1944, also attending weekend classes at Harrow School of Art. From 1944 to 1947 he studied at the Central School of Arts and Crafts, London. In the early 1950s he set up an artistic community at Hillesden, Buckinghamshire, with fellow artists Derek Davis, John Clarke, Mary Mansfield, Ruth Lambert and his wife-to-be, Martina Thomas. Eric married Martina in 1956 and they moved to Bognor Regis, West Sussex. 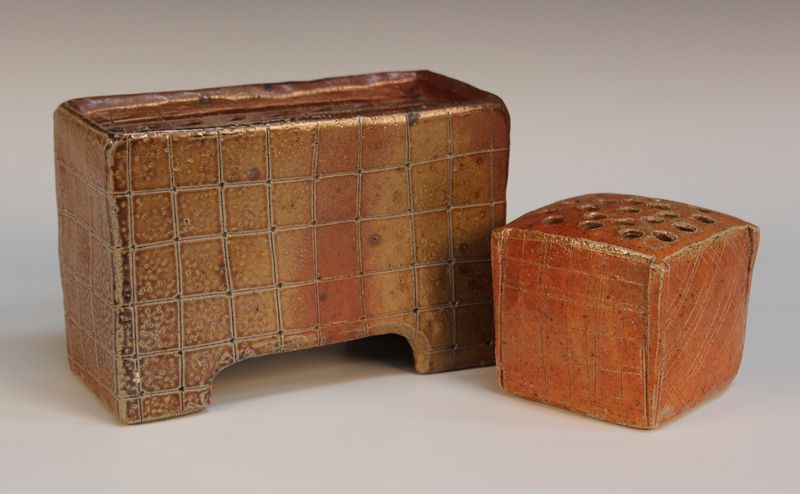 He set up his pottery at their home in 1958 and there he worked for the next fifty-six years. 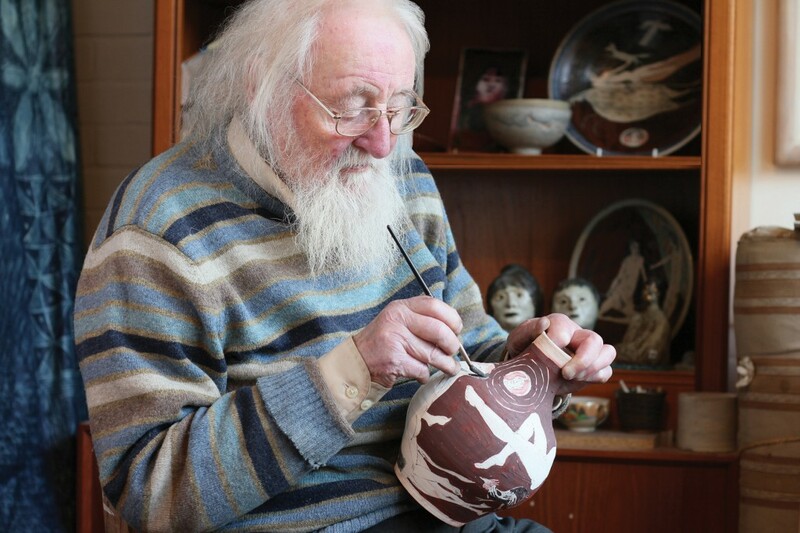 Always an enthusiastic and generous teacher, Eric ran summer art schools for some thirty years in Cornwall and at Slindon College, West Sussex, where he was head of art for twenty years. 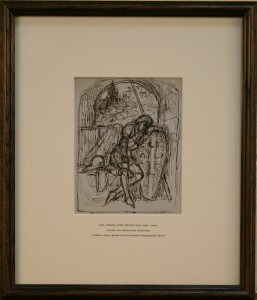 Eric Mellon’s work has been exhibited around the world and is held in many public collections, including the Victoria & Albert Museum, London, and Pallant House Gallery, Chichester. 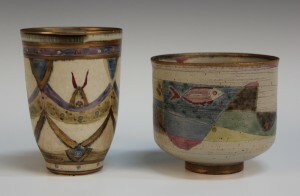 The collection includes two Pablo Picasso white earthenware dishes, and works by Josse Davis, Kitty Shepherd, Ursula Mommens, Bernard Forrester, Seth Cardew, Phil Rogers, Clare Sutcliffe, Yolande Beer, Denis Moore and others. 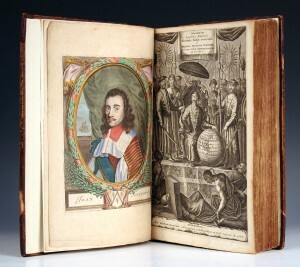 Sussex found herself at the centre of the political upheavals of the 17th Century as Charles II escaped to France through the port of Shoreham, closely pursued by Oliver Cromwell’s forces. The last quarter of the 17th century in England witnessed a revival of interest in silver objects. During the period of Oliver Cromwell’s Commonwealth, much silver was melted down for currency. Charles II’s restoration in 1660 was marked by a renewed sense of security, which resulted in both royalty and nobility indulging their passion for silver during what has sometimes been termed ‘England’s Silver Age’. The silver footed salver or tazza illustrated, dating from the reign of James II, Charles’ brother and successor to the throne, was discovered by Toovey’s specialist valuer William Rowsell. “I found the salver amongst a collection of modest silver-plated items, brought in to our salerooms on one of our regular valuation days,” William comments. “It’s always exciting when you come across something wonderful and unexpected in a bag! 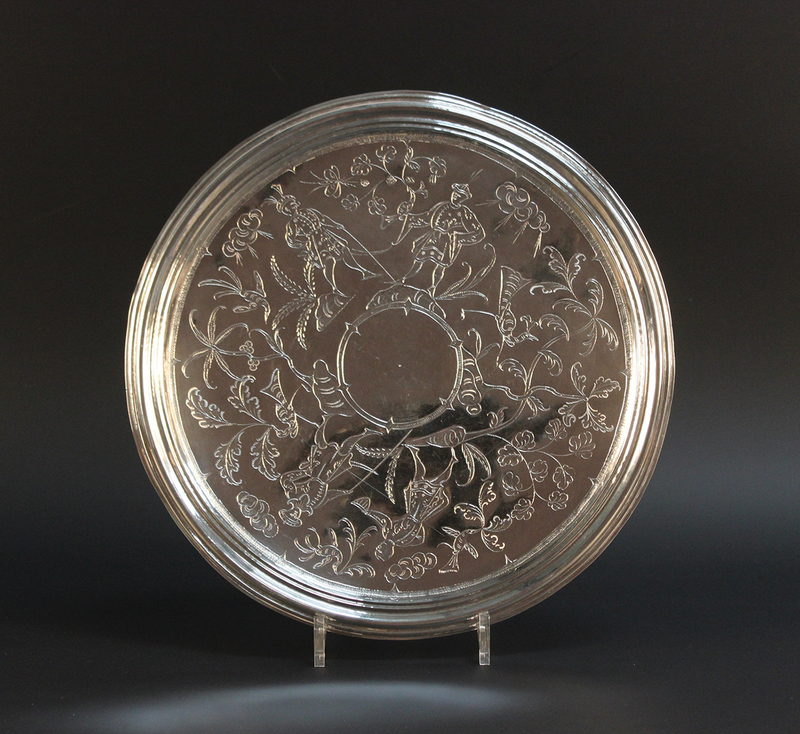 The owner did not even realise it was silver, let alone an important piece.” The footed salver was brought in by a gentleman dealing with items collected by his late father, who had been an antiques dealer in the middle part of the 20th century. It was made by silversmith Benjamin Yate and assayed in London in 1688. 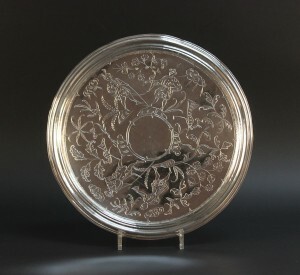 Subsequent research confirmed the rarity of the flat-chased decoration featuring Chinese gentlemen, birds and foliage, punched into the silver in dots and lines. The fashion for all things Chinese came from the influence of oriental items brought back by the Dutch and British East India companies. These fanciful chinoiserie vignettes would have been drawn from the artist’s imagination, rather than from any actual first-hand visual recollection of China and its people. 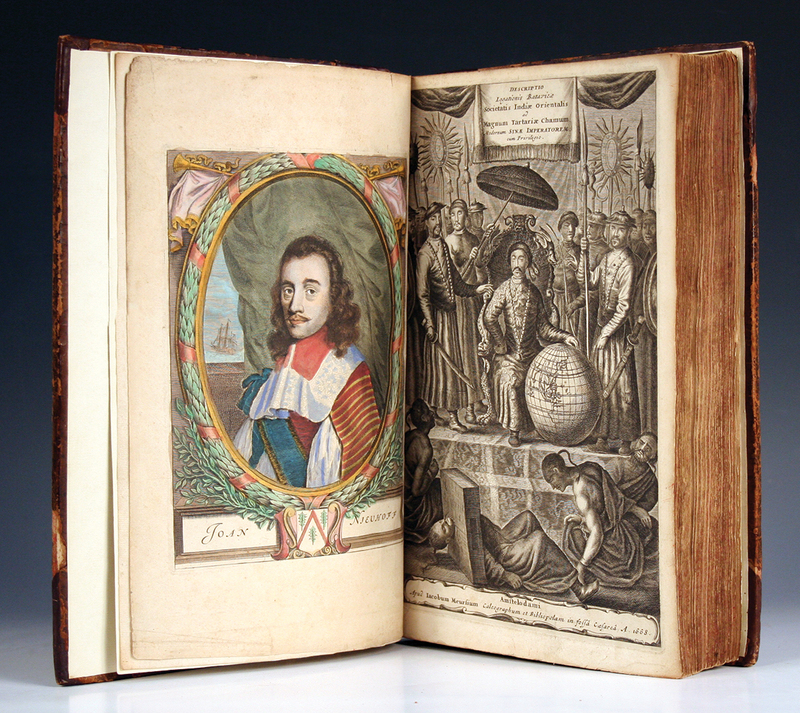 The book ‘Legatio Batavica ad Magnum Tartariae Chamum Sungteium…’ by Jan Nieuhoff was first published in Amsterdam in 1668. 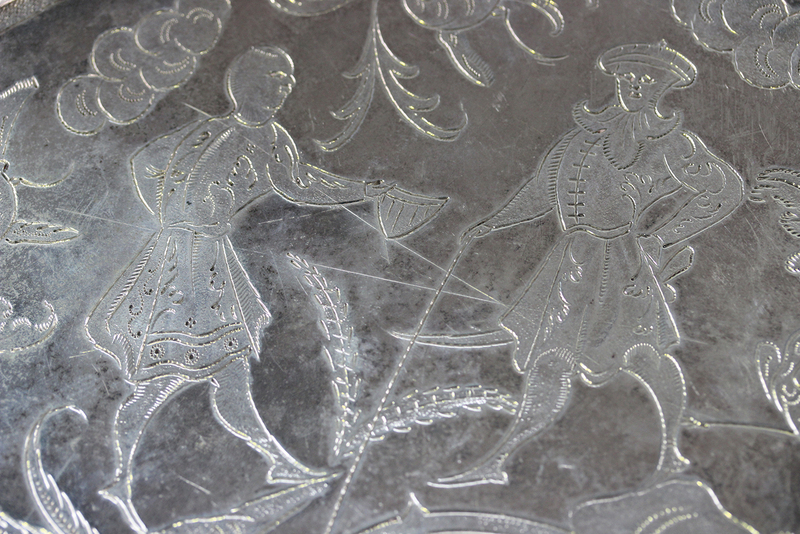 This book is thought by silver historians to be the likely inspiration for much of the flat-chased chinoiserie decoration of silver from this period. The book’s stylistic influence can be seen in the plate from a copy of this volume sold in a Toovey’s specialist auction for £850. Chinoiserie decoration on silver is a particularly English phenomenon and was mostly produced between the 1670s and 1690s. The strong similarity of figures, fauna and flora on known silver examples have led academics to question whether they may all be by a single craftsman. This form of decoration ends suddenly in 1688. It remains a mystery whether this was because of the craftsman’s death or a sudden change in taste caused by the overthrow of James II that year in the ‘Glorious Revolution’, when William of Orange invaded England. The James II silver footed tazza will be offered as Lot 350 with an estimate of £30,000-£50,000 in Toovey’s specialist silver auction on Wednesday 21st May 2014, commencing at 1pm. By Revd. Rupert Toovey. Originally published on 7th May 2014 in the West Sussex Gazette.